Thinking about the Gospel, reading it on paper, hearing it proclaimed is one thing. Living it, well, that is another thing now, isn’t it? 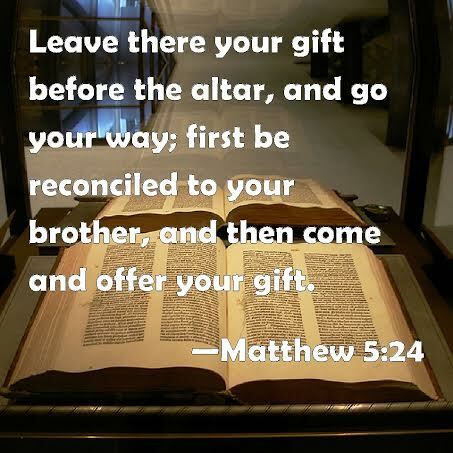 At mass Jesus’ words in Matthew’s Gospel were clear, “Go first and be reconciled with your brother, and then come and offer your gift.” Typically, I am reminded of those I am not reconciled with. Next weekend we will hear about loving our enemies, but what about the vast gulf of people who are neither unreconciled friend or relative, or outright enemies? With this backdrop, and with these words from Pope Francis’ Evangelii Gaudium on my heart, something happened. “Whenever our interior life becomes caught up in its own interests and concerns, there is no longer room for others, no place for the poor” (1). I am transported back to a seemingly forgotten moment, fourteen years ago. This is not a one-stop journey, is it? The heat in Las Vegas was oppressive, the temperature had soared to 112 degrees, and while grateful for the lack of humidity, the heat pressed down like an iron blanket. Sitting at the Southwest Airlines gate, oblivious to the clanging sounds of the nearby slot machines, I enjoyed the air-conditioning. My business trip was over, and I was grateful to be headed home at the time, in Los Angeles. On that day, I saw myself as a committed Catholic, rarely missing mass. As a busy traveling salesperson however, my life was much more compartmentalized at the time. My faith seemed strong, and my desire to live the Gospel was very real, but it was not well articulated in my daily being, as I was about to be reminded. One of the first to board, I made my way to a window seat in the third row, which made for a quick jaunt off the plane when we landed. Soon, another woman in business attire, took the aisle seat. Heat rose in shimmering waves off the tarmac, and I could not wait to depart, joyful about that nice empty middle seat next to me. Just as the doors were closing, a brief commotion ensued. A scent preceded the man who bore it, and a most disheveled and disoriented person was being ushered into the cabin. A mix of alcohol, body odor, and urine radiated like the waves of heat outside my window. There was one empty seat on this plane, and it was to my right and about to be occupied. The woman on the aisle was highly indignant; she would not let the man pass, telling the flight attendants, who looked less than thrilled to have him aboard, that she refused to sit next to “that.” They said that he needed to be seated so that we could depart. She left the plane in a rage, yanking her bag out of the overhead, nearly assaulting the man and the flight attendants. At least she was honest about it, cruel perhaps, but honest. Did the man sit in the aisle seat? No – he sat down in that middle seat, directly next to me. The conditioned cabin air after takeoff did nothing to ameliorate the odors emanating from him; I was overwhelmed. In my heart I kept thinking of God, thinking of what I should be doing and feeling, and struck by the dissonance of what was. As noted earlier, the Gospel is difficult in the flesh. The thought that this man might be Jesus never left my heart. Of course, neither did the thought that I wished that I was sitting on the wing, or that I should have sat in a different row, or on the other side. Maybe I should have taken a different flight! How we flee the very God that we long for! There was a monumental tug of war in my heart that day, in which I knew that Jesus was present, but I did not much like the sight, the smell, or the very presence of him in this form. Shame washed over me gallon by gallon. Neither shame, nor the presence of Christ, moved me significantly in either direction, other than self-serving panic. It was not physical movement that was called for, but a movement of the heart that was lacking. 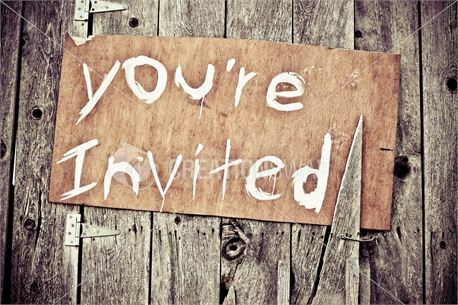 It was at that point I knew that God had proffered an invitation to me. At the time, I saw it in stark black and white terms, either I accepted the invitation full stop, or I failed. So I tried to accept, but with reservations; this felt like failure. Studying the man a bit, out of the corner of my eye, between my nose-avoiding breaths, I could see that he was very young, seemingly catatonic, and reeking of liquor. Was it in his clothes? He did not seem intoxicated. Was he on drugs or mentally ill? His hands were filthy, with longish fingernails caked dirt. His hair and beard got me thinking of John the Baptist; he looked like a wild man in street clothes. Despite the heat of the Las Vegas day, he was wearing wool houndstooth slacks, a white dress shirt that had seen better days and was several sizes too large for his frail frame, a frayed black suit jacket, and on top of it all, a trench coat that seemed as if it had been salvaged from a sewage treatment plant, prior to treatment. On his feet were two different shoes, a brown oxford on the left, and a brown loafer on the right. He wore no socks. Suddenly it became real to me that someone dressed this guy, got him a ticket, and put him on this plane. Was this some high-priced throw away of a human being? This revelation caused me to try to make another go at Gospel living, so I asked him where he was going. His eyes, clouded with confusion stared at me in silence. Then he asked where we were going. Did he forget? Did no one tell him? How did he get here and why? And then I felt the sinking feeling that yanked the Gospel right out of my heart. Why did he have to sit next to me? We had begun our descent into Los Angeles, and I was counting the minutes until I deplaned. All the thinking of and praying about St. Francis embracing the leper, Mother Teresa lifting the poorest of the poor out of the gutter, Dorothy Day ministering to the indigent, and of Christ himself seemed to be able to move me. Today I can reference further words from Evangelii Gaudium, with Pope Francis teaching us, “This is why I want a Church which is poor and for the poor. They have much to teach us. Not only do they share in the sensus fidei, but in their difficulties they know the suffering Christ. We need to let ourselves be evangelized by them” (2). At that moment, I was being evangelized – and I only wanted to flee! In a final encounter, the door opened and people began to deplane. My seatmate sat there, motionless, staring into space, with his loafer partially off that left foot, which I could now see had broken skin and most likely an infection. “We can get off now, you know,” I said, as brightly and kindly as I could muster. He simply looked at me with no comprehension and then returned his gaze to the seat in front of him. Finally, when the plane was nearly empty, a flight attendant, treating him with dignity, took his hand and said, “Let me help you.” With that he left, he was gone and I felt paralyzed. Slowly I stood up and moved. The one-hour flight felt as if I had traveled through several time zones and I was exhausted. It is not always what we think, this reconciliation business, is it? Thus we are invited to keep at it, helping one another along. What seems like grace that was missed, was really God’s Word, taking very slow root. It is like letting God lead us by the hand, as if we were disposed of and disoriented, dumped on a plane, but taken off with great dignity, love, and care. Just like that man left the plane that day. Fran Rossi Szpylczyn is a former corporate executive turned church employee and writer. She graduated from St. Bernard’s School of Theology and Ministry in May of 2013, with a Master of Arts in Pastoral Studies. By day she is the Pastoral Associate for Administration at the Church of the Immaculate Conception in Glenville, NY. A published writer, her work has appeared in two books, Hungry and You Fed Me: Homilies and Reflections for Cycle C, and Naked and You Clothed Me: Homilies and Reflections for Cycle A. She also publishes a blog about faith and life, called There Will Be Bread. She lives in the Albany, NY area with her husband Mark, and step-daughter Erica. 1. Evangelii Gaudium, Apostolic Exhortation, Evangelii Gaudium of the Holy Father Francis, November 24, 2013; Index, section one, paragraph 2. 2. ibid., Chapter Four, section two, paragraph 198. Lord give us the Grace to follow.